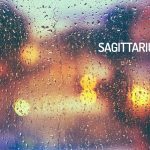 Here is your Sagittarius Horoscope for November 2018. Every month, you will find at WeMystic the astrological forecasts for your zodiac sign. November will not be a good time for the singles of Sagittarius, in terms of romance, due to the entry of Uranus retrograde House V sign (06/11), which translates into unrequited attractions or relationships with people who do not pay due attention to the native. This transit (retrograde Uranus in House VI of Sagittarius) can also cause tensions in the interaction with children, especially those who are in their teenage years, or young adults who reside under the paternal wing. However, Sagittarian couples did not have a hard time, due to the fact that the activation of the North Node in House VIII of the sign (15/11) announces new common projects, and a greater intimacy (trust) approached in a conscious way. On the other hand, the entry of the asteroid Pallas in the House XI of Sagittarius (04/11) will be an excellent tool to mitigate the damage to your group of friends, caused by the retrogradation of Venus in this sector of the astral map, transit that will culminate on November 15. With Pallas in House XI of Sagittarius, in the company of Venus directly, you will enjoy happy moments with your social circle, and you could even receive proposals of professional interest in this way. Finally, the entry of Mars into your House IV (15/11) imposes action on issues related to removals or home repairs. It’s time to put into practice what you’ve been thinking about for a long time. Jupiter, planet of expansion and regent of Sagittarius, will enter this sign on November 8, announcing the beginning of a year of personal and economic growth, so we speak of an excellent period to set new goals and objectives. It is worth noting that the Sun will also be in Sagittarius, from 22 November, as well as Mercury (which is already in, and will retrograde there, from 16/11). The Sun in Sagittarius drives you to connect with your purpose and essence, while Mercury retrograde will ensure that decisions go through a double filter, so that they are aligned with what you really want. Another aspect to consider at this time of year is the activation of the North Node in House VIII of Sagittarius, and the South Node in House II, on November 15th. The position of the North Node alludes to the impulse of financial initiatives or projects that involve transactions with properties and goods, to which one will have access through the relationship with the couple or the family. On the other hand, the South Node in House II of Sagittarius, points out that it is necessary to organize your resources, and plan yourself based on what you want to achieve in the medium and long term, (immediate satisfaction is postponing the objectives that really matter to you). It will not be an easy task, since Pluto and Saturn remain in House II of Sagittarius, just like Vesta. Precisely this asteroid is the key to passing the tests of the South Node, because it drives you to connect with what you value and awakens your passion. In the workplace, Juno retrograde continues in House VI of Sagittarius, so it is preferable not to accept loads greater than you can handle (at home or work), only for misunderstood self-sufficiency. We are all human beings in constant learning, and we require the support of others to move forward, which does not imply developing a relationship of dependence. You can go further in company than alone. For Sagittarius students, November will be a quiet period, but they will be excited by the passage of several planets over the sign of the centaur, calling them to adventure and unexplored destinies (internal and external). On November 5, retrograde Uranus will leave House VI of Sagittarius, allowing the natives of the sign to recover, and enjoy the passage of Jupiter and the Sun over the sign of the Centaur (November 8 and 22, respectively). The planet of expansion and the Sun in Sagittarius provide vitality and physical strength to the sons and daughters of the centaur, as well as a candorous optimism, interest in new projects and sharing experiences. However, it is advisable that you avoid overdoing it by committing physical abuses during this time of year, as Mercury will be retrograde in Sagittarius, from 16 November. Therefore, if you practice any sport, do regular training or lift weight at work, it is advisable not to overdo it to avoid greater evils. It is also advisable to be attentive to the surfaces on which you walk, especially wet soil or dirt (Mercury retrograde Sagittarius can cause respiratory ailments and injuries to the lower limbs). If you want to change your exercise routine (or start a new one), consult with a certified specialist before doing so, and make sure it’s ideal for your physical condition and not a matter of fashion or social pressure. Another aspect you should take into account, during November 2018, is the New Moon in Scorpio which will take place on 07/11 and will touch House XII of Sagittarius, the sector of the astral map that is usually associated with the unconscious, mysticism and past life experiences. The lunar event facilitates the revision of old negative beliefs (probably created in childhood or adolescence), which have been able to resist your work of consciousness. Take advantage of the New Moon to drop the old schedule, and look for inspiration in your present. The past is not a place of residence, so you’d better get rid of guilt and grudges.